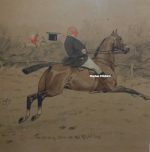 The Frederic Whiting Hunting and Racing Etchings, Prints and Pictures listed below represent a small selection of the many works available. 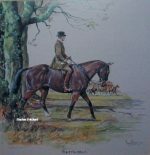 If you can’t see the Fred Whiting listed here that you’re looking for then please contact us on 07889 800857. Frederic Whiting RP RSW (1873 – 1 August 1962), was an English painter who had studied at the Académie Julian and taught at Heatherley School of Fine Art with Iain McNab and Bernard Adams. He also worked for The Graphic as war correspondent, covering the Chinese and Russo-Japanese War.